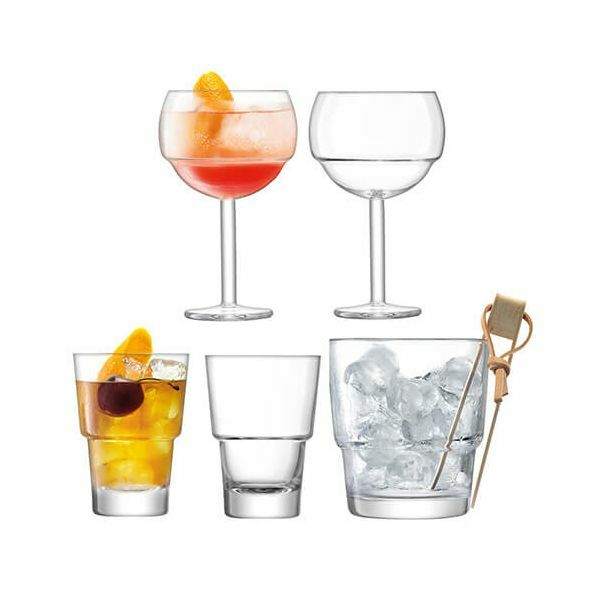 The LSA Mixologist Cocktail Ice Set includes two Tumblers, two Balloon Glasses and an Ice Bucket with wooden tongs. Ideal for budding mixologists, the stylish handmade glasses feature the distinctive stepped design of the LSA Mixologist range. 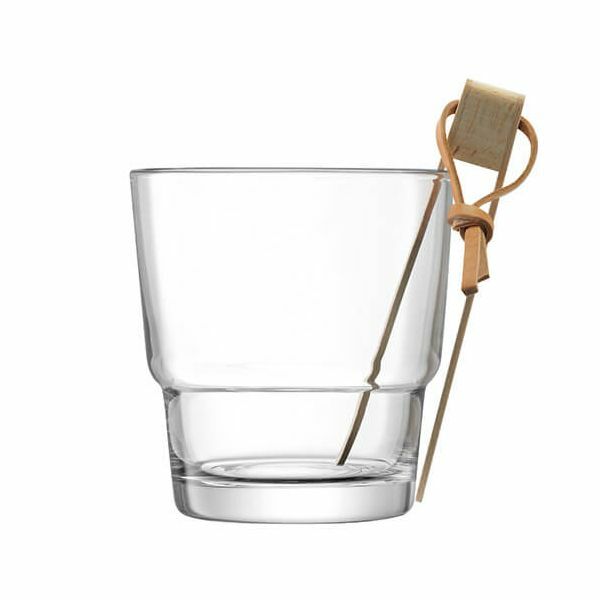 The Ice Bucket includes attractive wooden tongs with a leather hanging strap. 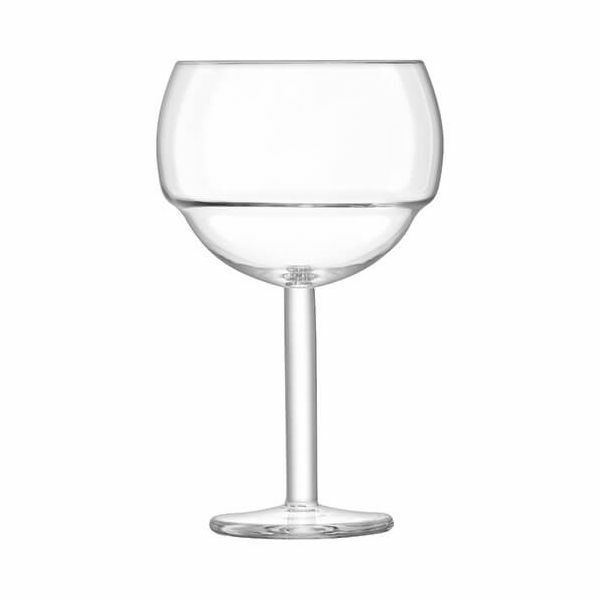 Part of a range of contemporary cocktail glasses, serveware and accessories from LSA. Balloon glasses - Capacity: 520ml. Ice bucket - Height: 14cm.